Chris Waller brought up his 30th Queensland metro winner of the season with Borazon’s victory. 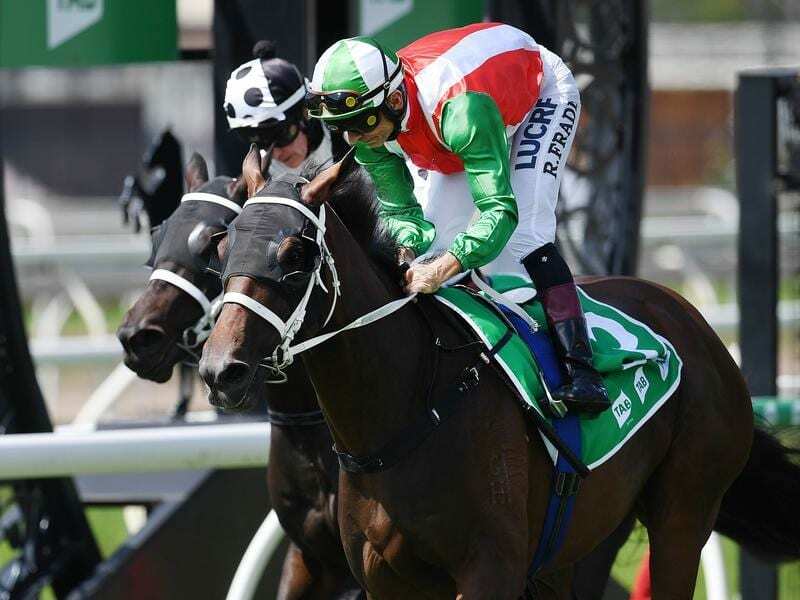 Champion trainer Chris Waller unveiled his second string for the coming winter three year old classic races when he took out a quinella in the TAB Three Year Old (2200m) at Eagle Farm. Waller brought up his 30th Queensland metropolitan winner of the season when gelding Borazon ($5.50) beat filly Tactee ($4.40) by 1-1/4 lengths. The Waller stable has made a habit of winning staying races in Queensland in the past year with older horses but now longer races at being programmed at Eagle Farm his younger representatives are coming into their own. Waller has dominated the three year old feature races in Brisbane since the mighty Winx started the trend by winning the 2015 Queensland Oaks. Queensland stable manager Paul Shailer said Waller again expected to have a strong team of three year old stayers for the winter carnival feature races. “This pair today will probably be in the second string. But Borazon has shown us what he can do over ground and Tactee had no luck today and she has also finished off well,” he said.